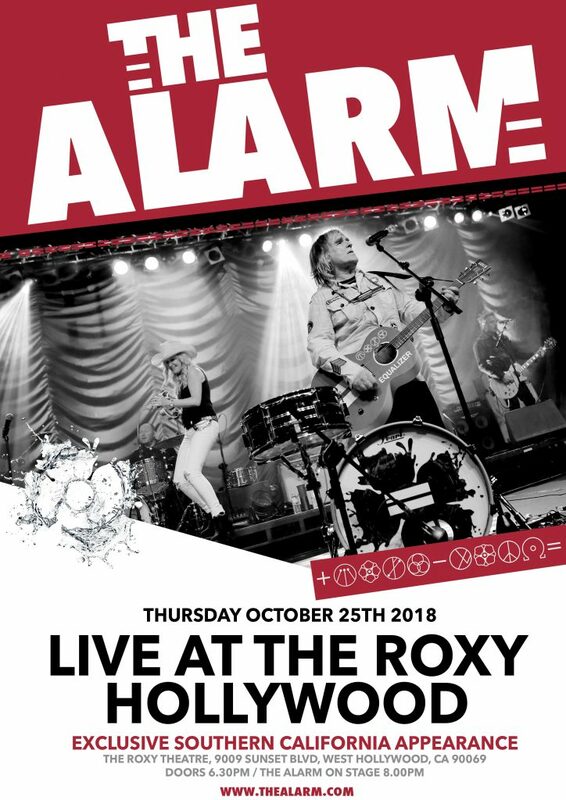 The Alarm will play live at the legendary Roxy Theatre on Sunset Boulevard in Hollywood, Los Angeles on Thursday October 25th 2018. The Roxy show will be the first night of the second wave of The Alarm’s North American Tour 2018 and promises to be an amazing night with doors opening at 6:30 and The Alarm on stage at 8.00 PM. Mike Peters was announcing the show from the stage during the last four California concert nights of the tour and there is already a lot of excitement about the band finally playing in Hollywood. “The Alarm only played at the Roxy once and that was back in 1987 just as ‘Eye Of The Hurricane’ was being released. It will be thrilling to go back there in 2018”, said Mike Peters as he was leaving for the UK. “I could tell that the fans were excited when I announced the show from the stage this past weekend. I can’t wait to take part in what will be an amazing event and a great way to kick off the extended routing of the North American Tour. We have had some amazing nights these last 5 weeks and so a massive thanks to all who came and made it such a special tour. See you at The Roxy and beyond”.